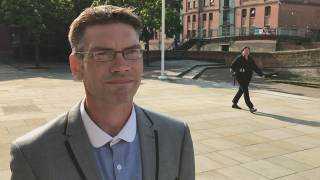 (The Christian Institute) — A Christian street preacher has been cleared of all charges after being falsely accused of making abusive comments towards a homosexual couple. Andrew Frost had been preaching in Nottingham when two homosexuals reported him for verbal abuse. According to Rory Green, a friend who was preaching alongside him at the time, the couple shouted abusive comments at Frost, and then left. One of the men later returned and called the police, accusing Frost of verbal abuse and making lewd comments.